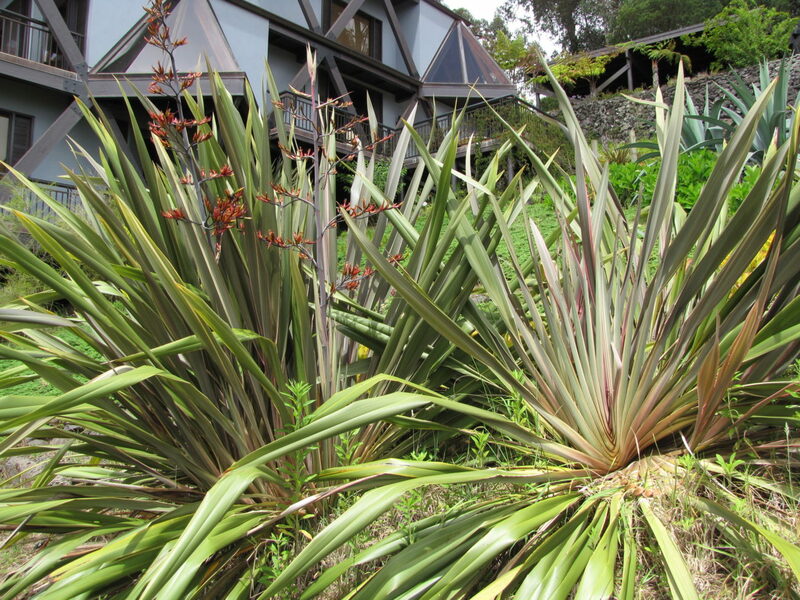 New Zealand flax can be planted in almost any soil type. 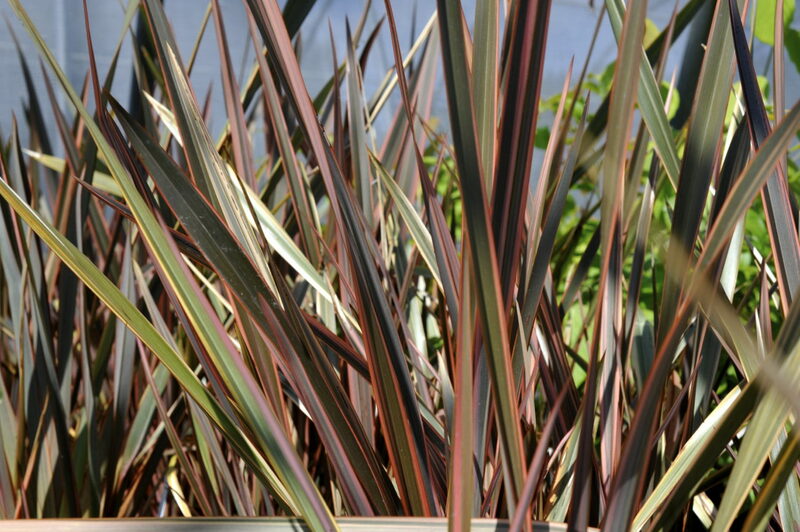 The many varieties of this species provide a plethora of choices for plant size and leaf blade color. 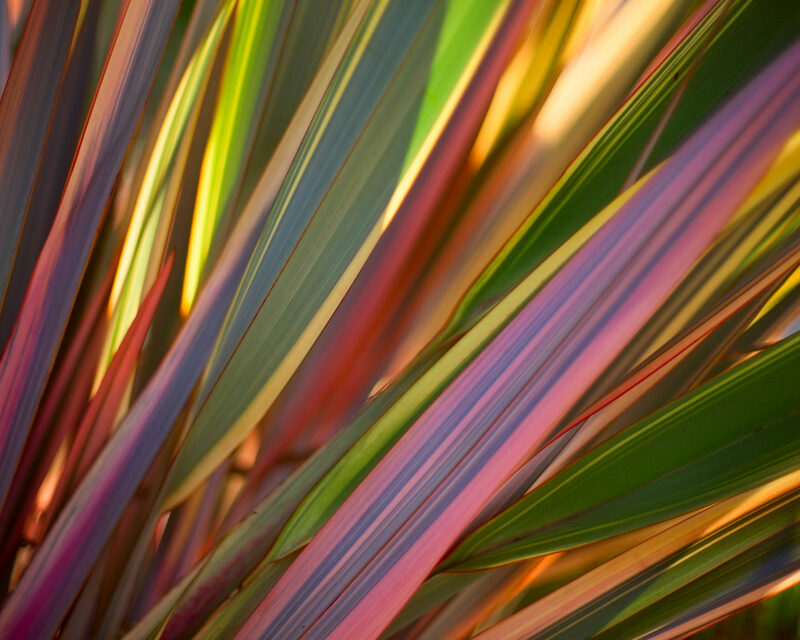 Leaf blades can be shades of green, brown, red, pink, and yellow as well as with or with out variegated leaf margins. 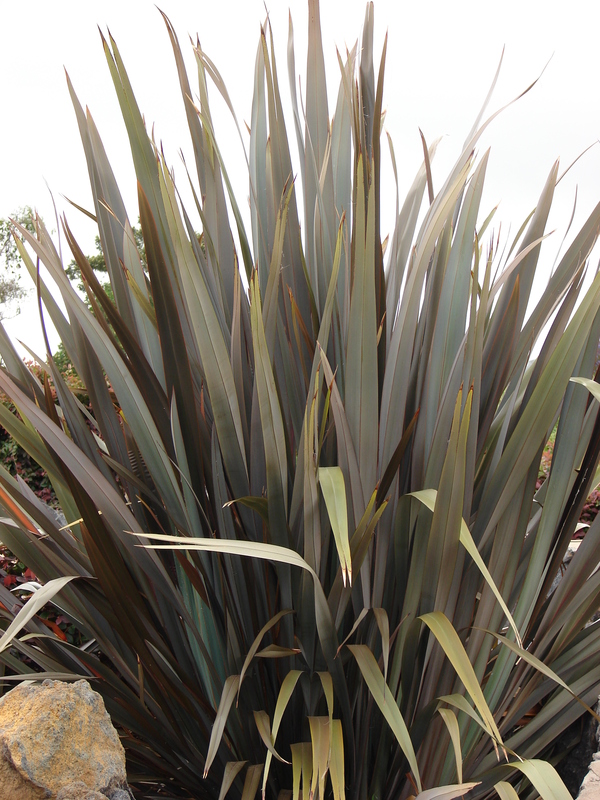 Good massed or used as focal points, providing year-round color in perennial or shrub borders or seaside plantings. 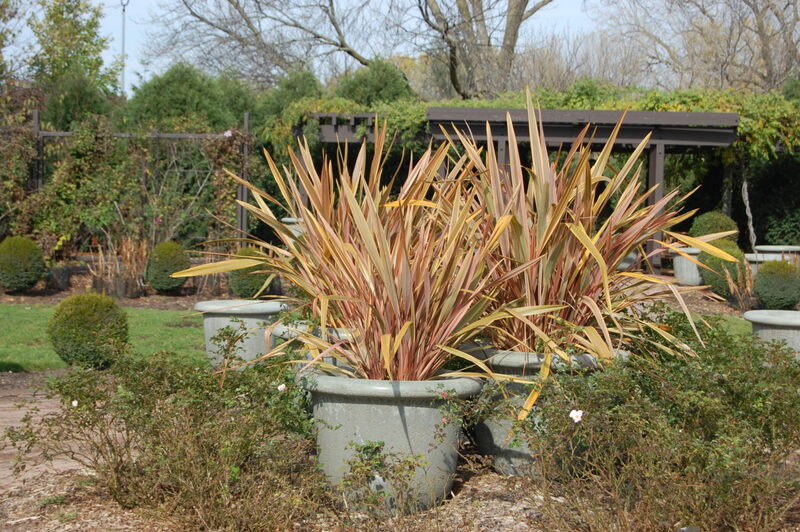 Be sure to allow enough room to accommodate a mature specimen when planting. Cool weather intensifies the foliage color. 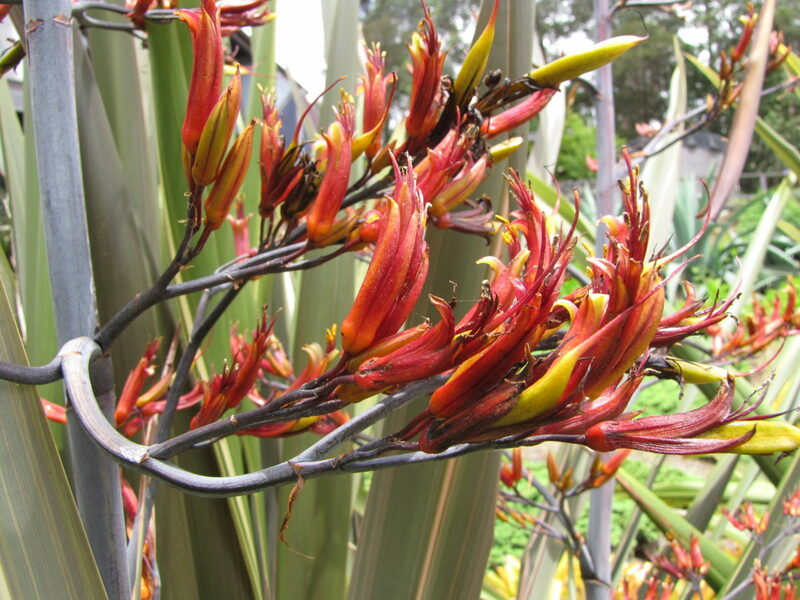 In late spring, branching flower stalks rise to twice the height of the plant with reddish flowers that develop into twisted seed pods. Hummingbirds love the flowers. Cut out flower stalks when the blossoms wither. 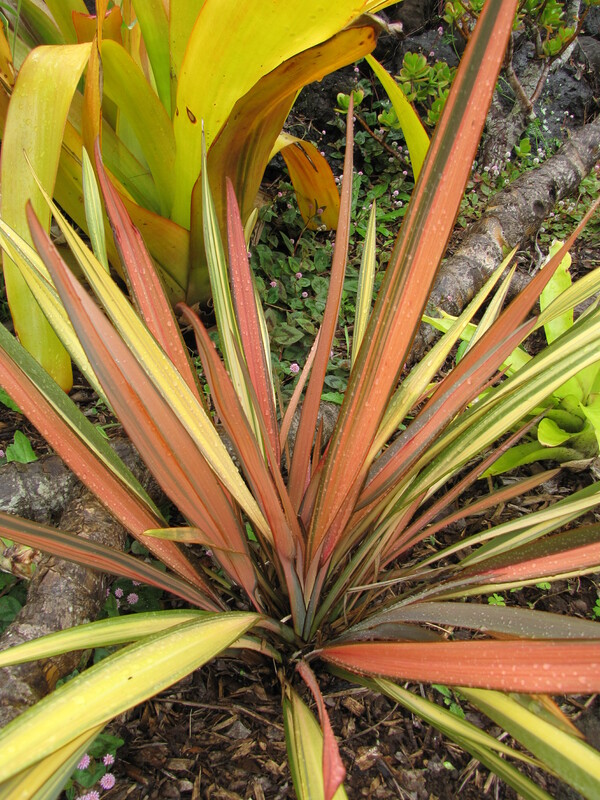 The average size of New Zealand Flax plants varies from two feet to as much as eight feet in height. P. tenax varieties are sturdy and fast-growing and will tolerate almost any soil, little to regular water, hot or cold conditions, and do well at the coast, where they can be used as a windbreak. Forms of P. cookianium and hybrids between these two species require a bit more water and afternoon shade to prevent burning in hotter areas. 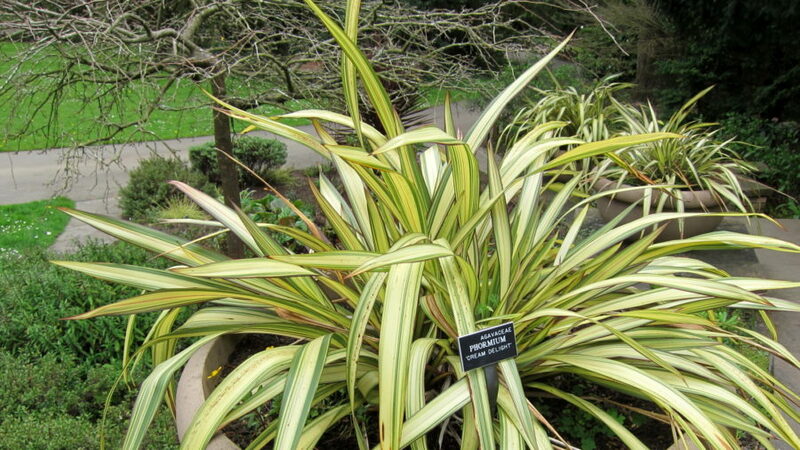 On variegated plants, watch for reversions and removed reverted crowns down to the root level before they take over the clump. 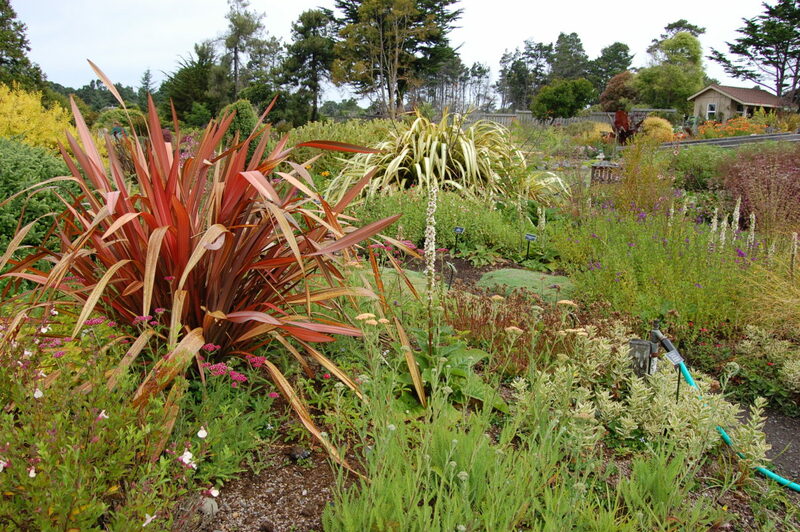 Some cultivars are semi-upright, while others have an arching shape, and some dwarf phormiums grow only 2-3 ft. tall and wide.